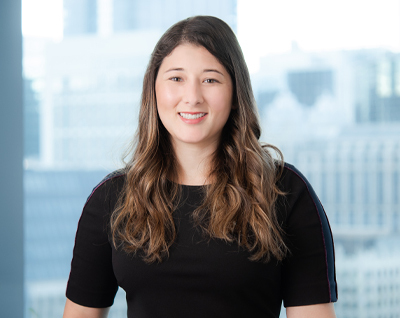 Lian Osier is an associate with Innis Law Group who focuses her practice on intellectual property law. She particularly focuses on prosecution, protection, and enforcement actions for trademark and domain name portfolios. Lian independently manages all aspects of the trademark prosecution and counseling process for numerous clients with global trademark portfolios. She has constructed and executed comprehensive global trademark strategies, including representing clients in enforcement matters around the world, before the U.S. Trademark Trial and Appeal Board, and in federal district courts. Lian has been particularly involved in handling matters for clients in the agricultural and food industries. She regularly works with high-profile clients, including representatives for a Fortune 50 company, small businesses, and individuals. Lian published an article assessing the significant B&B Hardware case entitled “Issue Preclusion: The Effect B&B Hardware Will Have on Trademark Litigation” (15 J. Marshall Rev. Intell. Prop. L. 257, 2016). Lian is a panel speaker at the 2018 National Asian Pacific American Bar Association (NAPABA) Convention. While earning her J.D., Lian served as a judicial extern for Judge Sharon J. Coleman in the U.S. District Court for the Northern District of Illinois. Lian is a three-time NCAA Women’s Fencing All-American and a 2011 NCAA Fencing Team National Champion.